At Love & Lavender Weddings, our philosophy is simple: fill your life with experiences and stories to tell, not things and stuff to own. We personally strive to live our lives this way, as with the weddings we plan. ​Go for a drive through the heart of Ireland, meandering among lush green fields strewn with sheep and cows until you reach your destiantoin. Up a long winding ​path, drive towards the resurected ruins of an elaborate 18 century architectural gem that covers a sprawling 70 acres of land – an estate ruled by the same clan for over 300 years. It doesn’t take much for jaws to touch the ground. Upon entering the grand foyer of a castle, guests will witness the magic of a spectacular wedding venue first hand, one that doesn’t even require a touch of decor. No hotel banquet hall weddings. Only romantic venues abroad that have that je ne sais quoi! Having built a reputation as one of the leading Destination Wedding Planners in Ireland, we specialize in elopements and intimate weddings for North American couples. We offer bespoke services tailored to suit our client’s exact needs. We pride ourselves on unwavering attention to detail, high standards and discretion, coupled with an approachable nature. We believe that all clients should enjoy the planning process, whilst working with a professional who is just as excited about your upcoming event as you are. If you want a unique and memorable wedding experience here in Ireland, please get in touch to discuss your event and how we can help. We look forward to working with you soon! From a young age, Meredith passion for bringing events and occasions to fruition has seen Easters, Thanksgivings and Christmas tables dressed to Martha Stuarts standards! Her themed surprise birthdays, baby showers, and bachelorette parties for friends and family are legendary. Meredith blends a Degree in Events and Convention Management together with invaluable skills and experience from several industries. ​Her wedding planning consultancy is the result of hard work, entrepreneurial spirit, and the natural extension of ​the wedding blog. 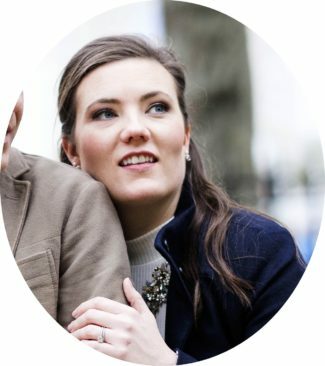 ​Meredith enjoys spending quality time with her friends and family, Zumba-ing it up, trying new recipes ​from Pinterest, and traveling as much as she possibly can with her husband ​to various European destinations. A west coast girl at heart, Meredith was born and raised in Vancouver, British Columbia. She now ​lives in Carrick-on-Shannon, Ireland ​along with her husband.